The Movie Azhar, based on Mohd. Azharuddin’s life seems has all the ingredients of a potboiler. A man who started of as a batting wizard, went on to become India’s captain, and finally fell from grace. Overall, the movie is highly engaging and completely grips you (after all it mixes cricket with glamour). Emraan Hashmi is at his best, although he doesn’t physically look like Azhar, he did manage to capture his mannerisms flawlessly. There is a line in the film where Azhar says people forget all his achievements just because he made a couple of mistakes, indicating the cricketer on top of his game, did compromise his character in a weak moment. But the film completely whitewashes the character. Azhar could have been more exciting and controversial, but the filmmakers seemed to have played it safe. Azhar debuted with three consecutive centuries in his first three Tests (Several cricketers said that “Azharuddin had the best wrists in the game”). Azharuddin was captain of the Indian team for most of the 1990s. Azharuddin married actress Sangeeta Bijlani in 1996 (Azhar was already married before Sangeeta came in his life). Azhar always had his collar-up on the field, which later went on to become a style statement, and caught the attention of several garment manufacturers (for their promotional material). There were many who felt that he wore his collar-up as he started becoming arrogant after his success. However, Azhar had a different answer: “While fielding, my neck skin would get burnt from exposure to sun. I decided to raise my collar as protection and later it became a habit”. Azharuddin was implicated in a cricket match-fixing scandal in 2000, and banned by BCCI for life. Azharuddin is currently in politics. Due to his involvement in match-fixing controversy, Azhar was denied the honour of playing his 100 Test. In his 99th test (against South Africa), Azhar scored a century in India’s second innings (Sachin Tendulkar was the captain) but still lost the match. So did Azhar develop any new habit after he got rich & famous? Yes, and that is Azhar’s fondness for wrist watches and cars. Azhar’s youngest son Ayazuddin (from his first wife) died in a motorcycle accident. Ayazuddin Suzuki high-power sports bike (gifted to him by Azhar) skidded off the road resulting in the fatality. Azhar is based on the life of former Indian cricketer Mohammad Azharuddin. In the movie, Nargis Fakhri portrays the role of actress Sangeeta Bijlani, who was married to the former cricketer until their divorce in 2010. There were reports that Ms Bijlani was not pleased with the making of the movie, but Emraan Hashmi slammed the report saying its not true. Nargis Fakhri (plays the part of Ms. Bijlani) and Emraan Hashmi are the lead actors in Azhar (also stars Prachi Desai and Lara Dutta). Actress Nargis Fakhri said she found it really awkward to do retakes of kissing scenes with her co-star Emraan Hashmi in the film Azhar. I guess, the same cannot be said about Emraan Hashmi (who probably has done such scenes with several heroines in the past). 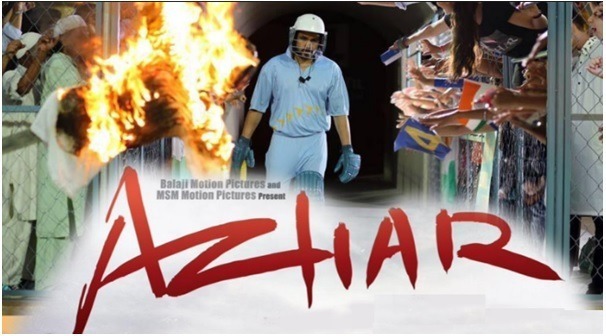 Manoj Prabhakar, who was the key witness in Azharuddin’s match fixing scam, was planning to take legal action against the makers of ‘Azhar’ as his request for screening of the film has not been met with yet (despite several requests). Prabhakar felt that in the movie, Azharuddin may have been shown as a victim while Prabhakar’s character may have been shown in bad light. 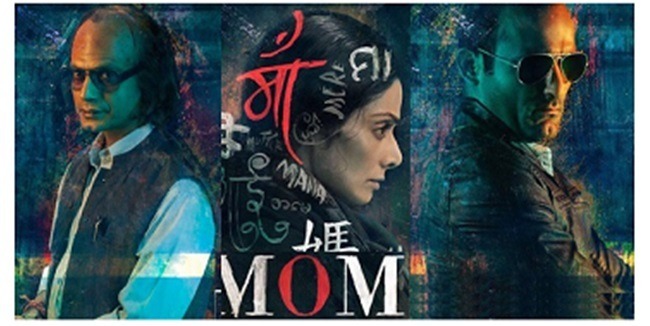 Former Indian cricketers Kapil Dev, Manoj Prabhakar, Navjot Singh Sidhu, and Ravi Shastri had asked the film makers to show them the film before its release, because they all were concerned about how their characters would be portrayed in the film. Cast: Emraan Hashmi as Mohammad Azharuddin. Prachi Desai as Naureen, the first wife of Azharuddin. Nargis Fakhri as Sangeeta Bijlani, the second wife of Azharuddin. Lara Dutta as a lawyer. Karanvir Sharma (actor) as Manoj Prabhakar. Bigg Boss winner Gautam Gulati as Ravi Shastri. Manjot Singh as Navjot Singh Sidhu. ‘Azhar’ is based on former Indian captain Mohd. Azharuddin’s life, who ended up becoming the country’s most controversial sportsman yet. The man who set world records (that are yet to be broken) but also got embroiled in the first ever match fixing scandal the country witnessed, the film depicts Azhar’s insurmountable highs and his tremendous lows. Checkout more reviews by critics on the internet. When there’s an opportunity to expose the underbelly of the cricketing game, why did the director focus on Azhar’s limp personal life? Episodes from his life have been plucked and randomly tweaked to make it a sanitised drama that has no particular direction. The events in Azhar,which has already received the stamp of approval from its subject Azharuddin, seemed to have been designed to make the cricketer look good.The film would have benefitted greatly if all that effort had gone into making its dialogues less corny.